Rate is $139/night and includes hot buffet breakfast, parking, and shuttle to Lynnwood Convention Center. Rate & block expire on April 22nd. In May the annual HCAOA Washington Blooming with the Boomers Conference took place today in Seattle, Washington. 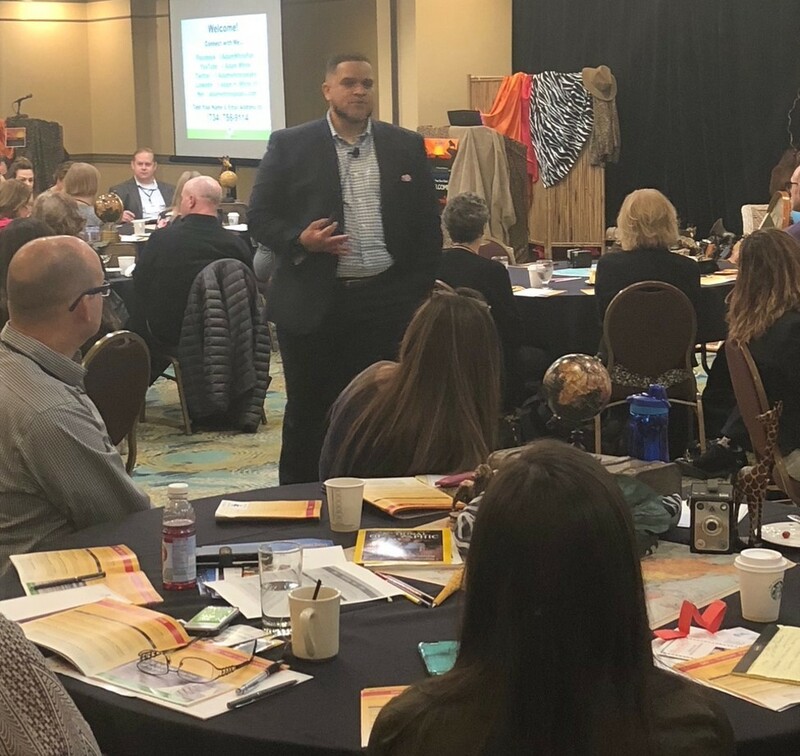 The conference opened Tuesday morning with a welcome from WAHCA Conference Chair and HCAOA Board Member, Jeff Wiberg. Wiberg welcomed close to 100 attendees and thanked the many exhibitors and sponsors. Adam White addressing the audience. Four breakout sessions followed White’s presentation, which were all well attended. After lunch, attendees heard from Amy Schmidt on how to manage employees from different generations. This was followed by a talk on employment law by Bryan O’Connor, as well as a talk on the key elements of success by James Alberson. The day ended with a cocktail hour where attendees networked with exhibitors and other home care providers. The second day of the conference opened with a presentation from Bob King on the importance of service agreements. 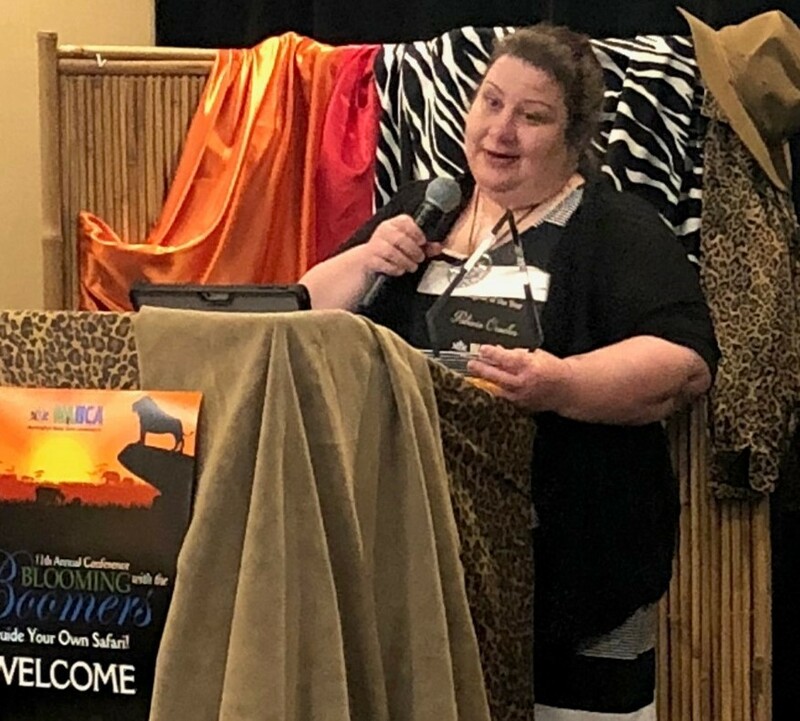 This was followed by the WAHCA Caregiver of the Year Award which was awarded to Patricia Ornelas with Family Home Care in Palouse. Patricia Ornelas accepting the Caregiver of the Year Award. Attendees then received a Washington State legislative update by chapter lobbyist Leslie Emerick. 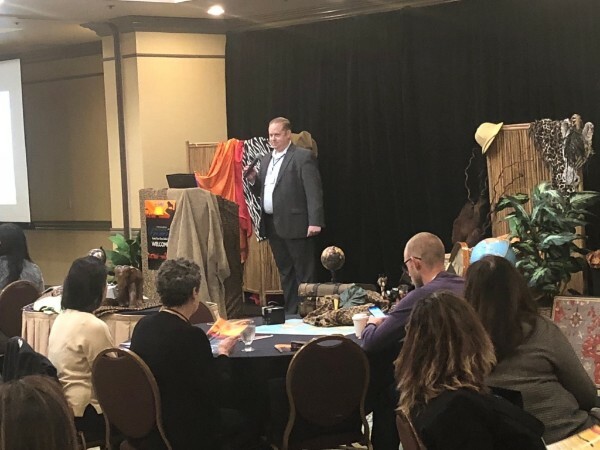 After a number of breakout sessions which included topics ranging from the art of listening to internet marketing and social media management, attendees came together for a general session from John Hilger of the Washington State Department of Health who answered questions about compliance and changes to DOH rules. The day ended with a giveaway of prizes donated by sponsors and exhibitors. Home care, hospice and home health agencies all work cooperatively together to coordinate care in a patient’s home. In Washington state, all in-home care agencies are licensed and regulated under the Department of Health. 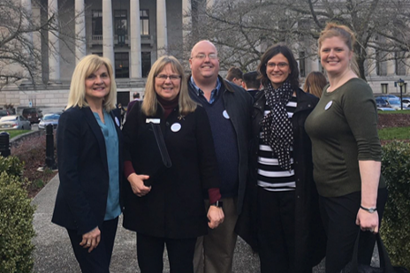 On In-Home Services Day, the Washington Home Care Association (HCAOA Washington), the Home Care Association of Washington and the Washington State Hospice and Palliative Care Organization worked as a team, meeting with legislators from all over the state. They all serve patients in the most desirable setting – their homes – and share common concerns facing the in-home care industry. 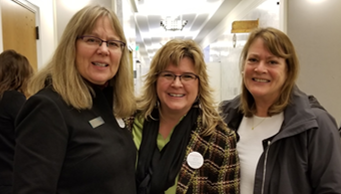 Thirty attendees representing home care, home health and hospice agencies met with 55 state legislators. In these meetings, agencies were mixed and matched with a combination of services and worked off the same “song sheet” that was used for talking points. 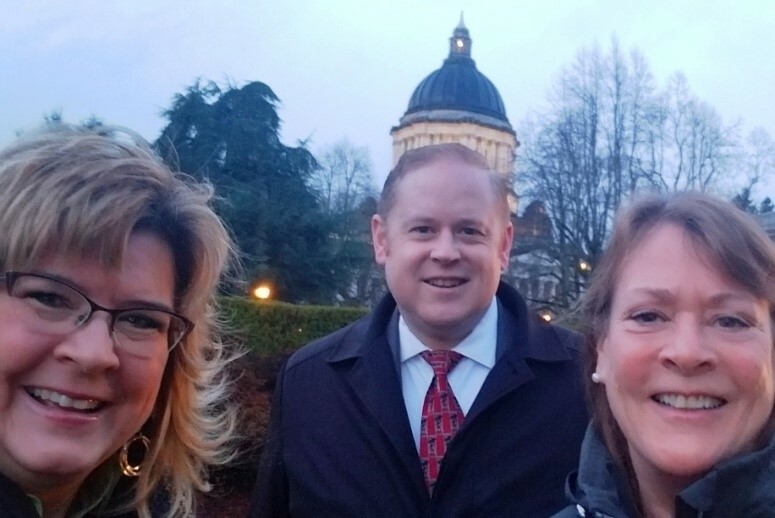 Prior to the legislative day meetings, the group has an orientation and training session on the Capitol Campus, led by Leslie Emerick, who is the lobbyist for all three associations. 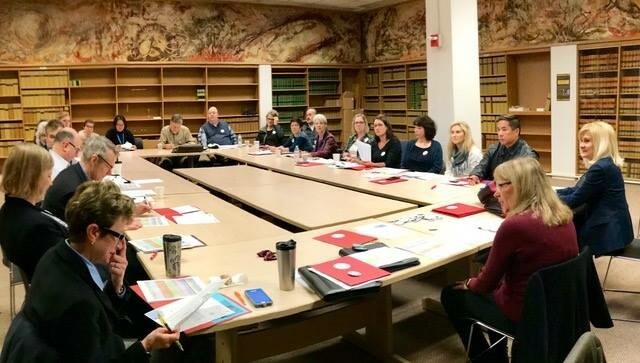 A role-playing session is scheduled to let new participants see how a meeting goes and how to present their case to legislators. Constituents of the legislators lead the meetings. If you are interested in joining HCAOA Washington, please contact Nataly Schwartz at nataly@hcaoa.org or 202-508-3872.